Life decisions should be easy. Learn the methods for self-growth and happiness! Turn your business idea into a success story! The Startup Program has been specifically designed to generate solutions for your business success! Book a Mentorsapproach.com service today, and begin the journey. Inspiration is driven through motivation. We will break down those barriers, create definable and actionable goals, and help on your road to smashing them one by one—week by week! 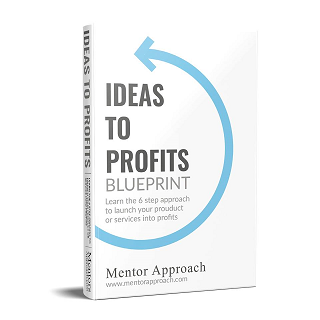 Get access to the 6 part series that will launch your IDEA into profits in less than 60 days! This is the help you have been waiting for! Get a 1 hour coach call for business, startup and personal needs. Let’s get you moving in the right direction! The Mentorship Program has been prepared and packaged to specifically see growth, drive success, and smash those goals! Want results? This is it! Get a 1 hour coach call for business, startup and personal needs. All applicants are required to take the assessment before the call. Want my help with a problem? Submit your question for a FREE YouTube response! You will also receive a full email response. And, your story might help another person dealing with a similar problem. Check out the videos below, and don’t forget, I never release private information! Setting GOALS? Did you pick the right goals? Nobody Cares About What I Have to Say | Self Limiting Beliefs "part 10"
I am Too Creative | Self Limiting Beliefs "part 9"
I am not creative enough | self limiting beliefs "part 8"
I don't have time | Self limiting beliefs "part 7"
I am not worth it | self limiting beliefs "part 6"
I feel stupid. I am stupid. Self limiting beliefs "part 5"
What if they think I am stupid? Self limiting beliefs "part 4"
I'm good at starting projects but never finishing a project | Self limiting beliefs "part 3"
Never following through? How to change self limiting beliefs "Part 2"
Happiness Through Quitting? Is it possible? Consistency is key to success but where do you start? Increasing Prices is Harder Than we Think. Or is it? Expectations of Your Child too High? Are we Keeping our Promises? What happens when we don't keep our promises? Should you Give Up? Starting a Business is Never Easy. Should I Find Another Coach? Are you re-investing in your business? What Happened to my friends? How to deal. Patience and Persistence. Confidence in this equation? Guilt based on Assumptions. Time for change? Guilt Vs Shame. Feeling guilty? Being Real with Yourself. What are you Capable of? Society norms will always change. Why can't we change? What Have I Actually Done with my Life? What People Think of you Doesn't Matter. Only you Matter!